A THOROUGH study of Lian Beng Group's complicated group structure is required if you want to scratch the surface of what the firm is about. The group divides its operations into four main segments - construction, property development, other construction-related business, and investment holding and dormitory business - but each segment splinters off into different areas of specialisation. Diversification is a driving force for the group, which very early on recognised the need to reduce dependence on a single industry sector and has conscientiously sought to expand its business to related sectors. "When we first started in construction we didn't just concentrate on one type. We have built HDB flats and private condominiums, schools, and libraries. 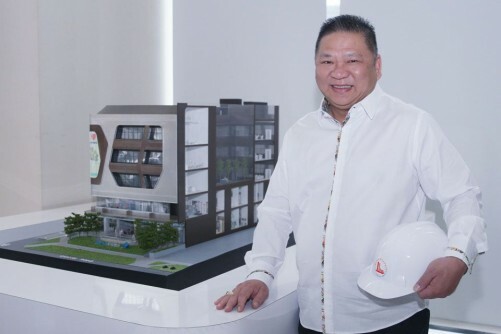 We are very diversified that way, whether in construction or the types of properties we invest in," says Ong Pang Aik, chairman and managing director of Lian Beng Group. Today, the group is an A1 grade contractor with the Building and Construction Authority (BCA) in General Building. This ranking allows the group to tender for public sector building projects of unlimited contract value. Construction continues to form the bulk of the group's revenue, but demand has been softening. 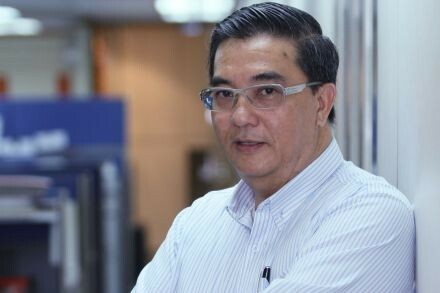 "Demand in Singapore has been softening because of the cooling measures," says Mr Ong, although he is quick to add that having other construction-related businesses available in-house - this segment of their business engages in scaffolding works, ready-mixed concrete, rebar fabrication among others - helps to soften the blow. This is also one of the reasons why the group has been actively growing its property development and investment holding and dormitory business. The group has, for instance, teamed up with Centurion Corp to build and operate two dormitories. The 55 per cent-owned Westlite Mandai Dormitory has been in operation since 2013 while construction at the new dormitory at Jalan Papan was recently completed. Also under its investment holding portfolio is a heritage commercial/office building within Melbourne's central business district. The property, which is located in Collins Street, was acquired by Lian Beng Ventures (Melbourne). It is not only in Australia that the group is actively acquiring properties. It is in a Heeton Holdings-led consortium which has, in quick time, made four purchases in the UK. The consortium made its maiden acquisition in Hammersmith in March 2015 and quickly followed this up with a 106,722 square foot site located within Leeds City Centre. It added two more hotels to the pack in February this year. 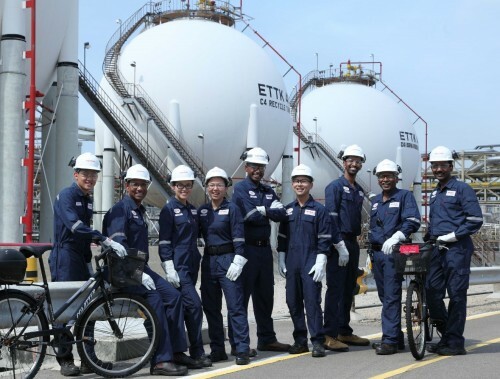 Heeton has a 55 per cent stake in this consortium while Lian Beng, KSH Holdings and Leeds Investment & Development split the remaining 45 per cent stake. In April this year, Lian Beng teamed up with Heeton and KSH again - this time in a 40-30-30 split - to acquire its fifth hotel property, in Manchester. Mr Ong acknowledges that the group has its finger in many pies. Far from professing to have all the requisite expertise, he nods to the joint venture (JV) model as the source of the company's successful entry into new territories. "For the UK, we partnered Heeton because Heeton has been in the UK for the past few years. They have an active team there looking for sites and managing hotels. And then for dormitories, we have Centurion," says Mr Ong. Beyond leveraging the individual expertise of the JV partners, it is also about sharing the risk. "Especially for overseas (ventures) we have all these risks, so we try to go in together to get a feel for the country . . . once we know the market better we might go in with a bigger stake or we might manage on our own." Lian Beng has in fact recently started investing in Australia on its own. Their first venture into the Australian market was with Heeton and KSH to co-develop a A$150 million (then S$174.1 million) hotel and residential development in Brisbane in 2014. In June 2015, they acquired a freehold Melbourne property with a total site area of about 478 square metres and in October of the same year, they went on to acquire a freehold plot with a total site area of about 1,803.6 sq m at St Kilda, also in Melbourne. While the focus now is on investing in viable assets overseas, the group does not rule out bringing its construction expertise to its target markets. 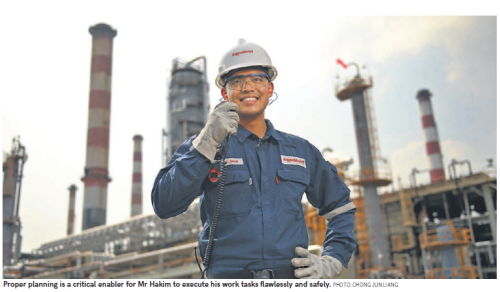 "Our view is since we are already in the UK and Australia, we are looking at doing some construction management, and bringing our expertise overseas as well," says Mr Ong. "Our construction arm has been around for the last 40 years so I think that there is something on the table which we can bring along with us. We are in talks with contractors in Australia and the UK; we might firm up something there for construction as well." Mr Ong is sanguine about the company's future, confident in the diversification built into the group's business model. They are far from resting on their laurels however and still have further diversification plans - the group in August 2014 obtained approval from its shareholders to diversify into the automotive business but have been relatively quiet on that front. That being said, construction will continue to form the core of the group's business. Says Mr Ong: "Construction will still be the largest contributor for at least the next two years. Slowly, with all of this (investments assets) coming in, we hope the segments will complement each other ... After two years we will have to see whether the cooling measures are lifted, what kind of Government Land Sales land comes up, before we can know if demand for construction will go up."